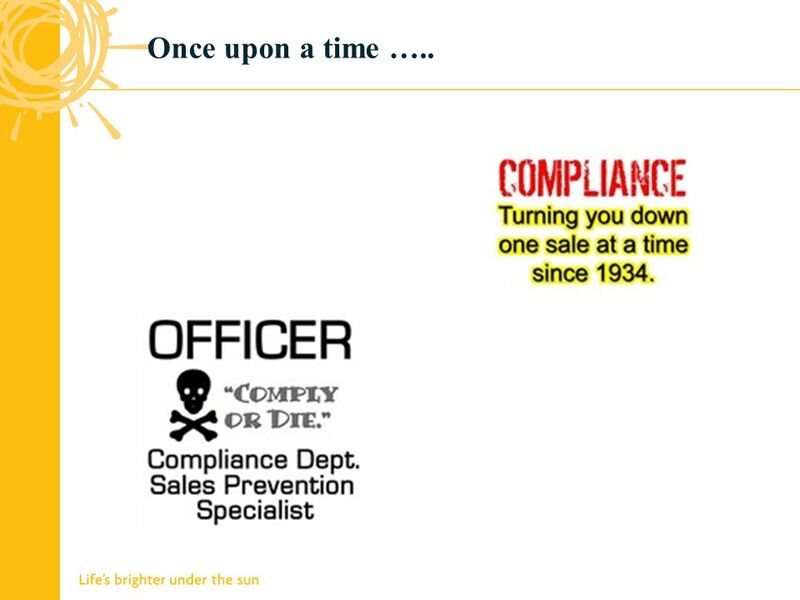 How Compliance Fits Sandra Dolson Wholesale Compliance Manager SLF Canada. 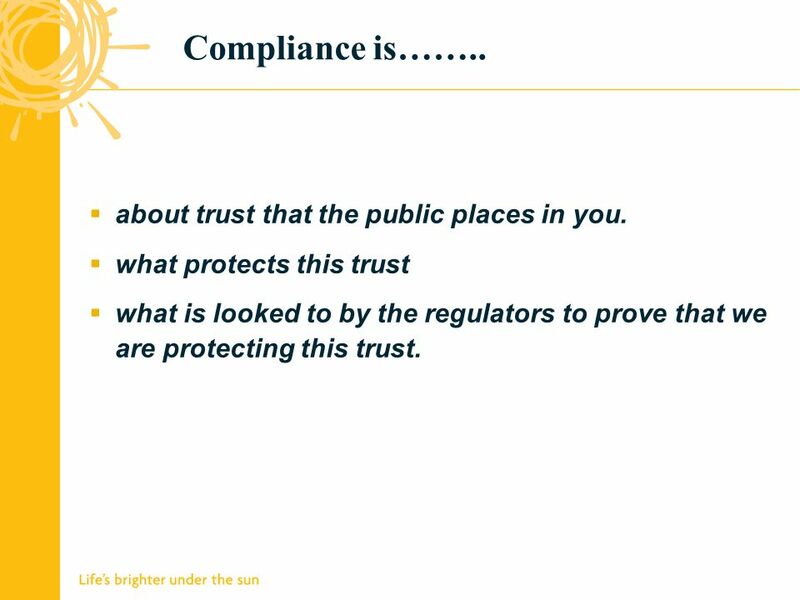 3 Once upon a time …..
4 Compliance is…….. about trust that the public places in you. 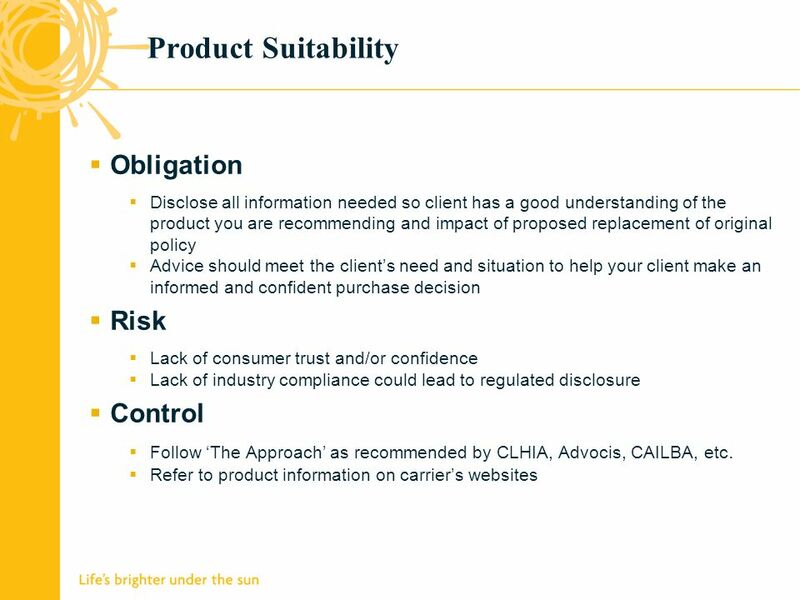 what protects this trust what is looked to by the regulators to prove that we are protecting this trust. 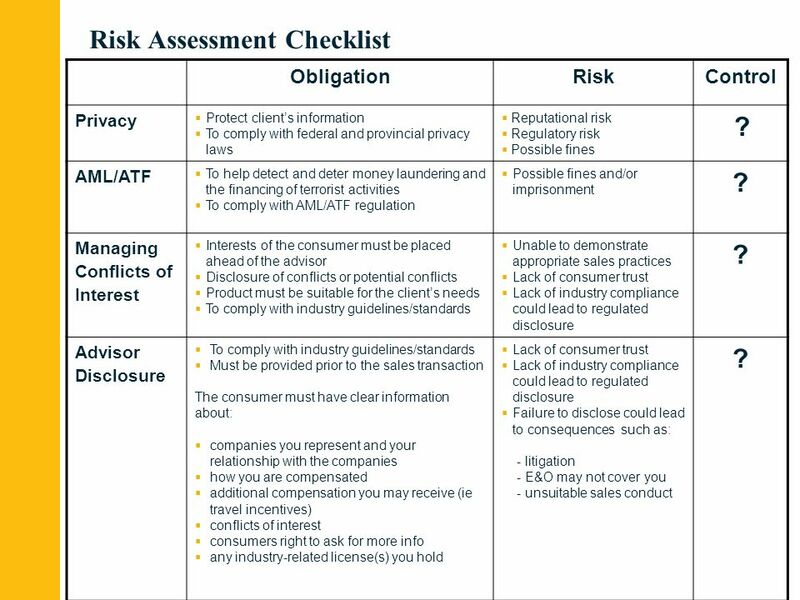 5 Risk Assessment Checklist ObligationRiskControl Privacy Protect clients information To comply with federal and provincial privacy laws Reputational risk Regulatory risk Possible fines ? 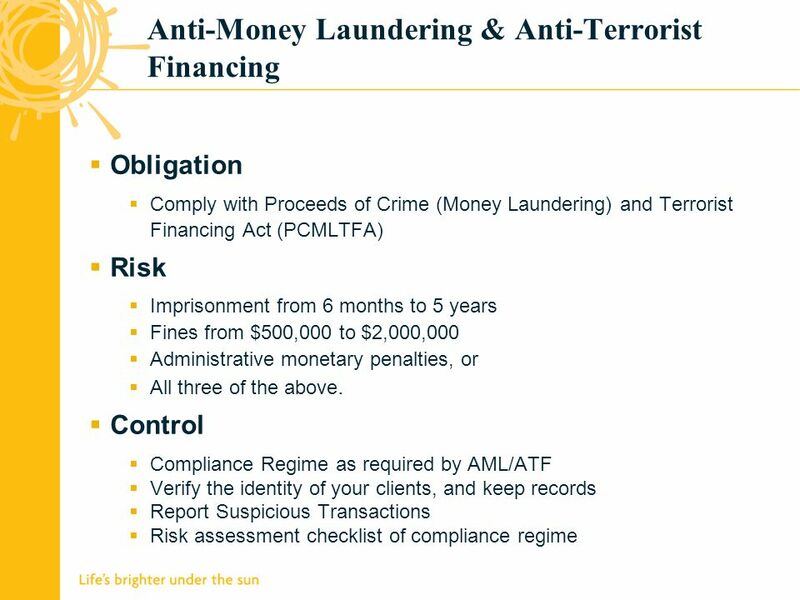 AML/ATF To help detect and deter money laundering and the financing of terrorist activities To comply with AML/ATF regulation Possible fines and/or imprisonment ? 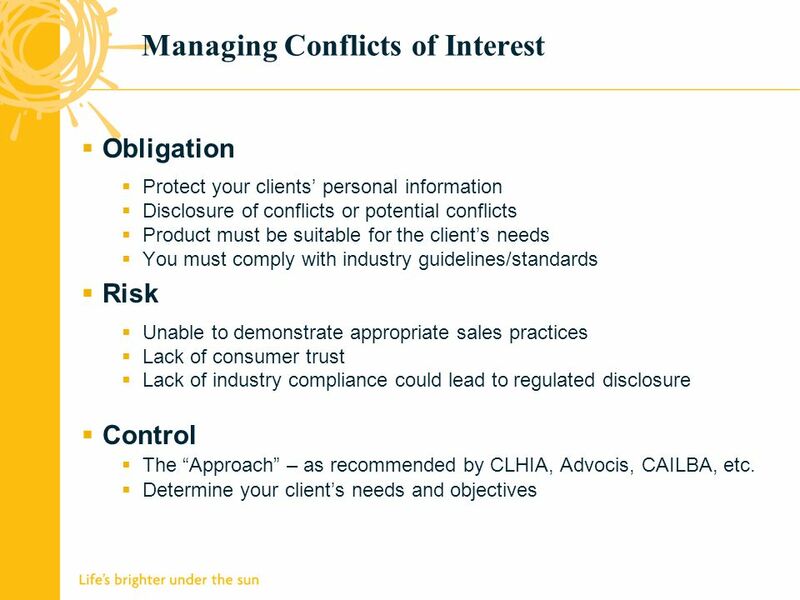 Managing Conflicts of Interest Interests of the consumer must be placed ahead of the advisor Disclosure of conflicts or potential conflicts Product must be suitable for the clients needs To comply with industry guidelines/standards Unable to demonstrate appropriate sales practices Lack of consumer trust Lack of industry compliance could lead to regulated disclosure ? 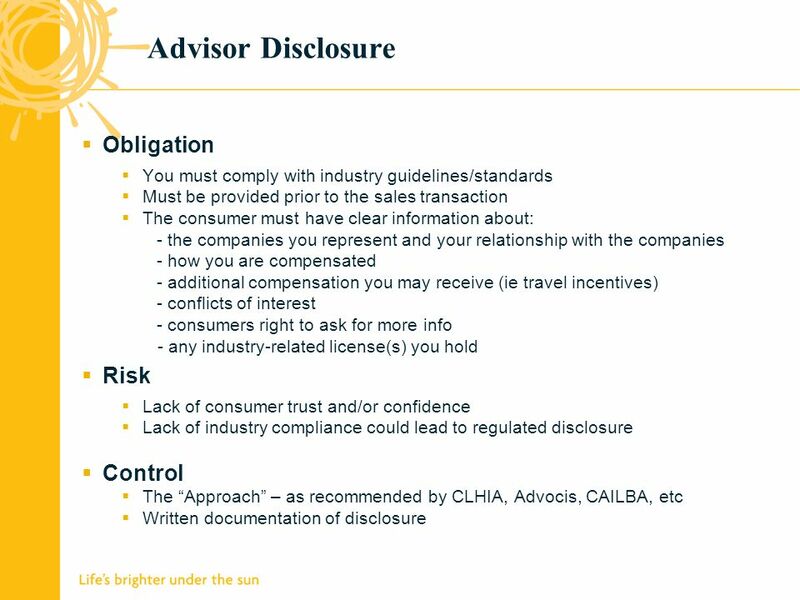 Advisor Disclosure To comply with industry guidelines/standards Must be provided prior to the sales transaction The consumer must have clear information about: companies you represent and your relationship with the companies how you are compensated additional compensation you may receive (ie travel incentives) conflicts of interest consumers right to ask for more info any industry-related license(s) you hold Lack of consumer trust Lack of industry compliance could lead to regulated disclosure Failure to disclose could lead to consequences such as: - litigation - E&O may not cover you - unsuitable sales conduct ? 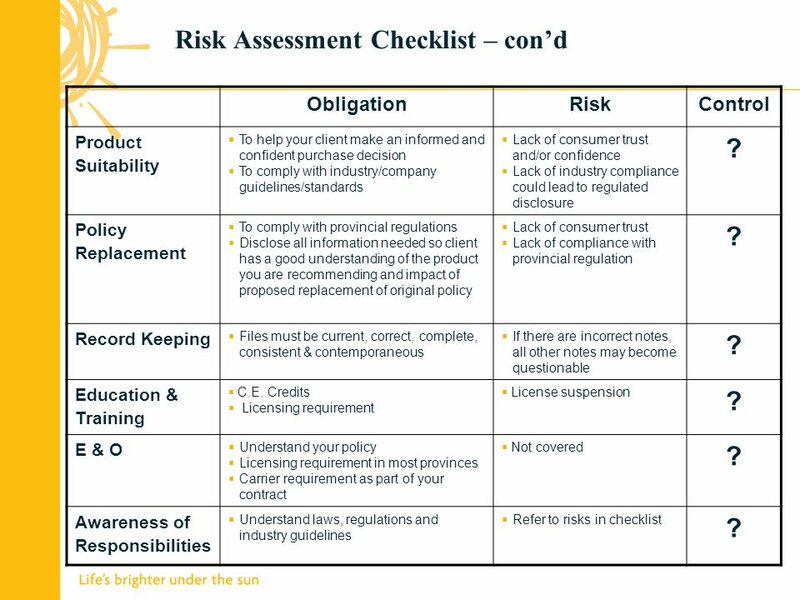 6 Risk Assessment Checklist – cond ObligationRiskControl Product Suitability To help your client make an informed and confident purchase decision To comply with industry/company guidelines/standards Lack of consumer trust and/or confidence Lack of industry compliance could lead to regulated disclosure ? 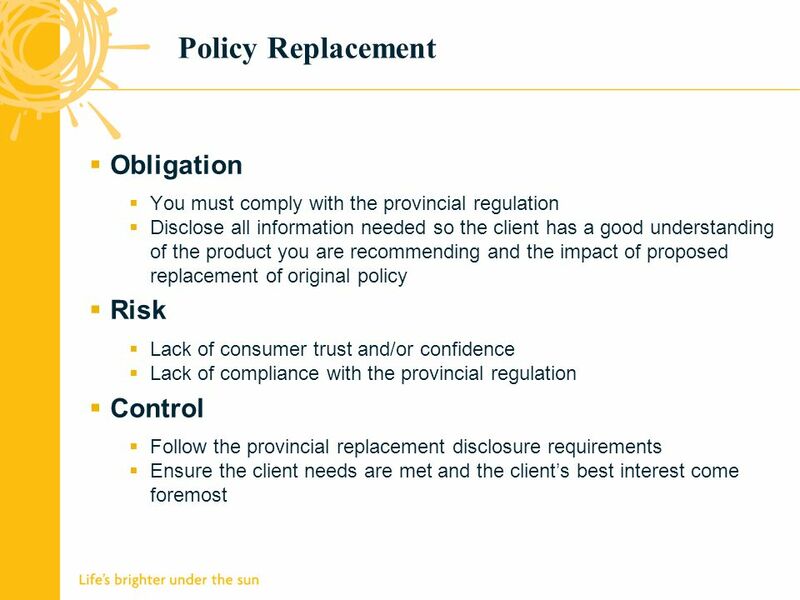 Policy Replacement To comply with provincial regulations Disclose all information needed so client has a good understanding of the product you are recommending and impact of proposed replacement of original policy Lack of consumer trust Lack of compliance with provincial regulation ? 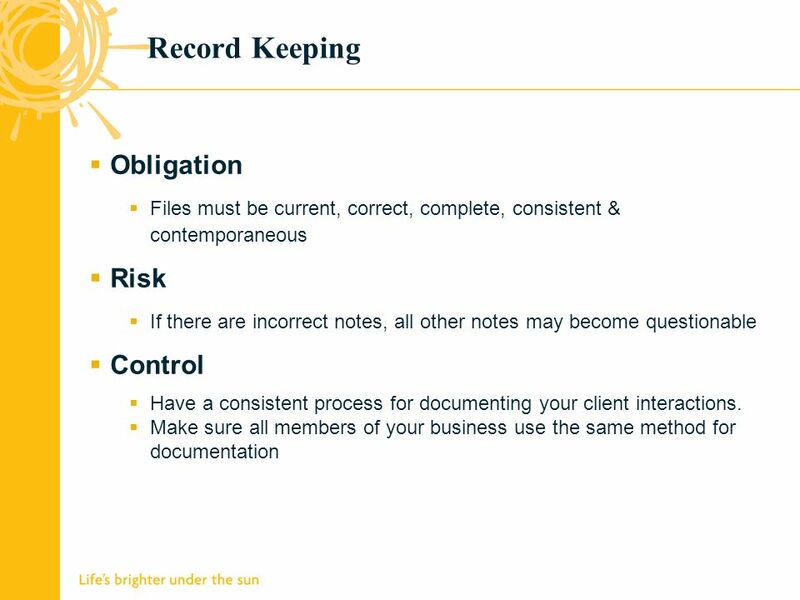 Record Keeping Files must be current, correct, complete, consistent & contemporaneous If there are incorrect notes, all other notes may become questionable ? Education & Training C.E. Credits Licensing requirement License suspension ? 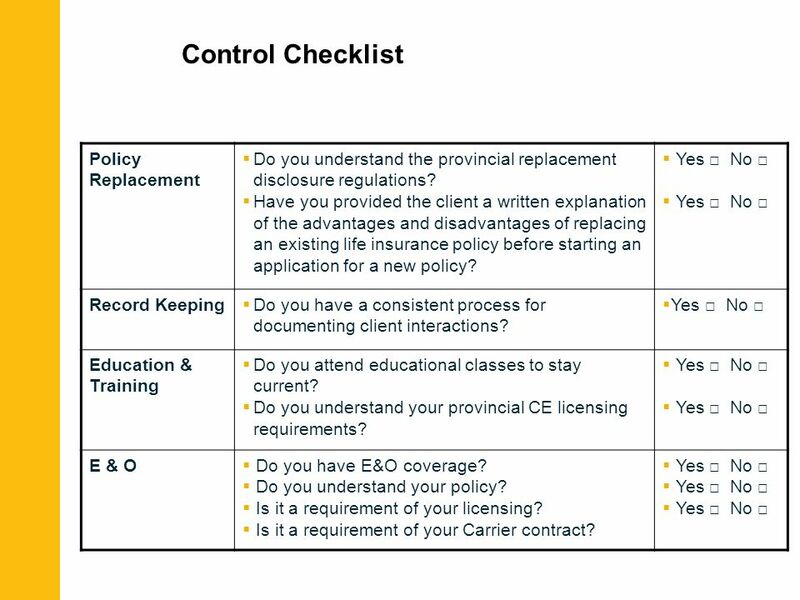 E & O Understand your policy Licensing requirement in most provinces Carrier requirement as part of your contract Not covered ? 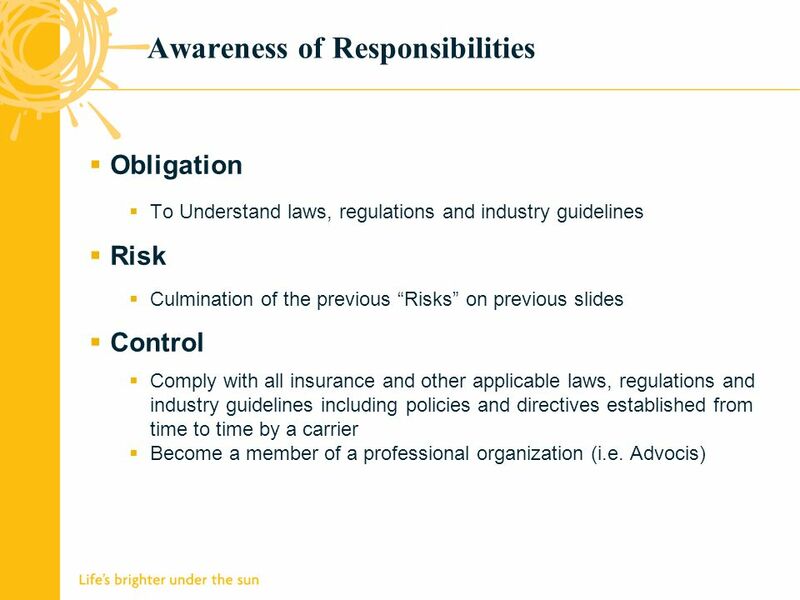 Awareness of Responsibilities Understand laws, regulations and industry guidelines Refer to risks in checklist ? 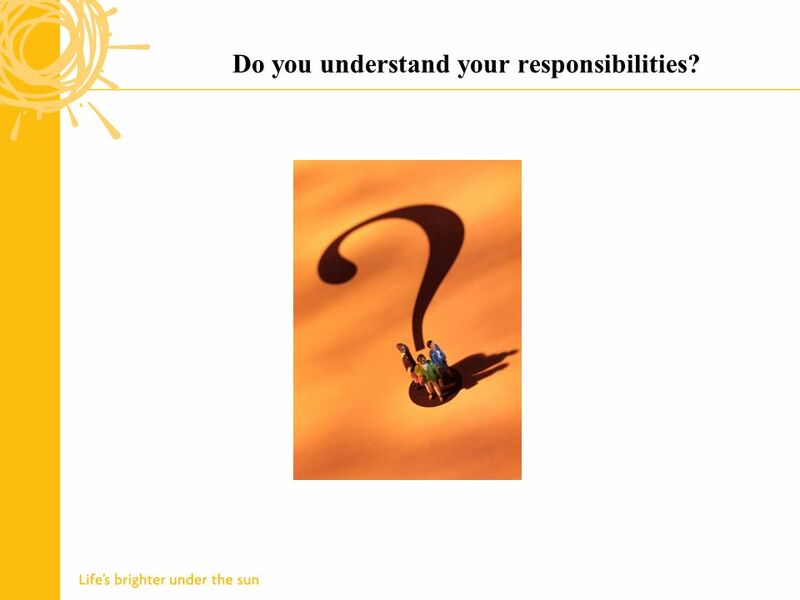 19 Do you understand your responsibilities? 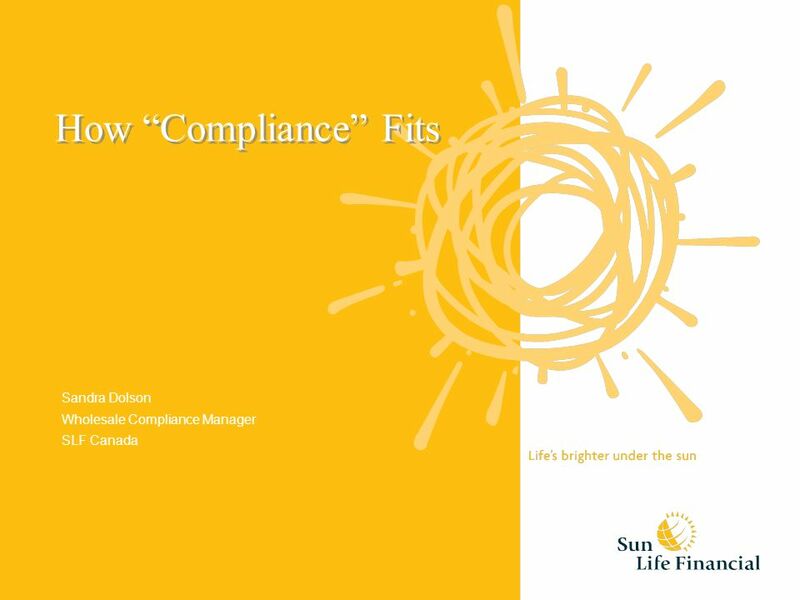 Download ppt "How Compliance Fits Sandra Dolson Wholesale Compliance Manager SLF Canada." CASH REPORTING AND MONEY LAUNDERING On July 14, 1984, the Internal Revenue Services (IRS) Cash Reporting Rule went into effect. The law provides that any. HIPAA: An Overview of Transaction, Privacy and Security Regulations Training for Providers and Staff. ETHICS. Business Conduct  The Agent agrees to conform to all applicable federal, state and local laws in conducting business under this agreement. 1 UMass Dartmouth Conflicts of Interest Policies UMass Dartmouth Liz Rodriguez February 17, 2011. COMPLYING WITH HIPAA PRIVACY RULES Presented by: Larry Grudzien, Attorney at Law. 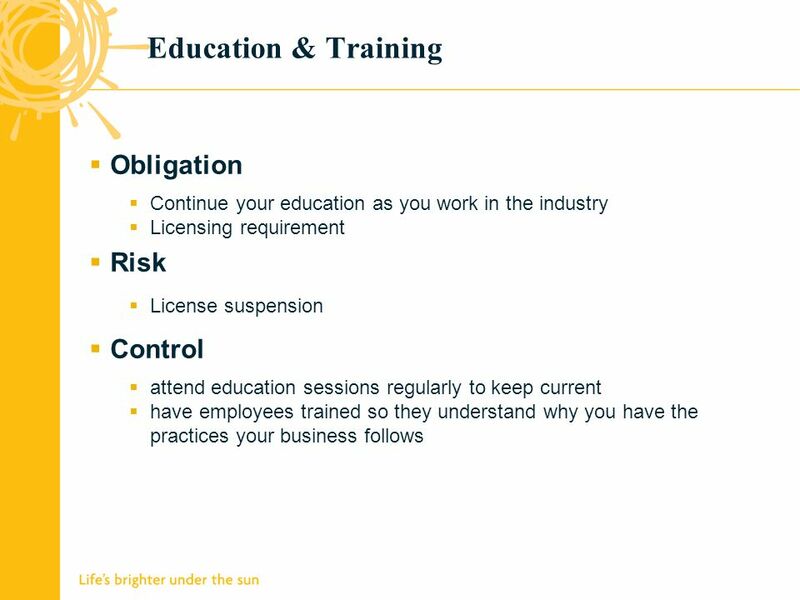 Sept Topics of interest & risk in our industry today Christine Scaini Compliance Consultant Market Conduct Compliance. 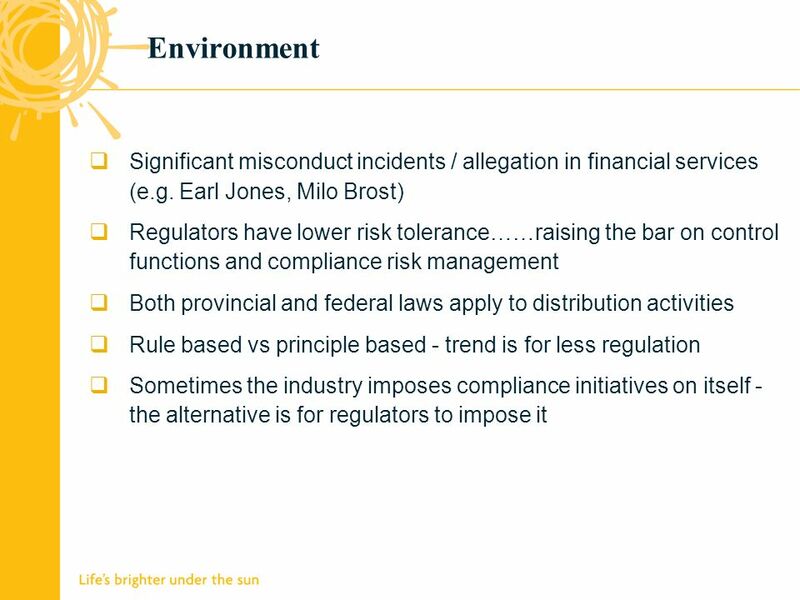 Insurance Brokers Code of Practice 2014 (The Code) An Overview for Staff Prepared by MSM Compliance Services Pty Ltd.
Anti Money Laundering (AML) An Overview for Staff Prepared by MSM Compliance Services Pty Ltd.
FSCO Compliance March Financial Services Commission of Ontario About FSCO  FSCO is a provincial body with regulatory jurisdiction in Ontario and. 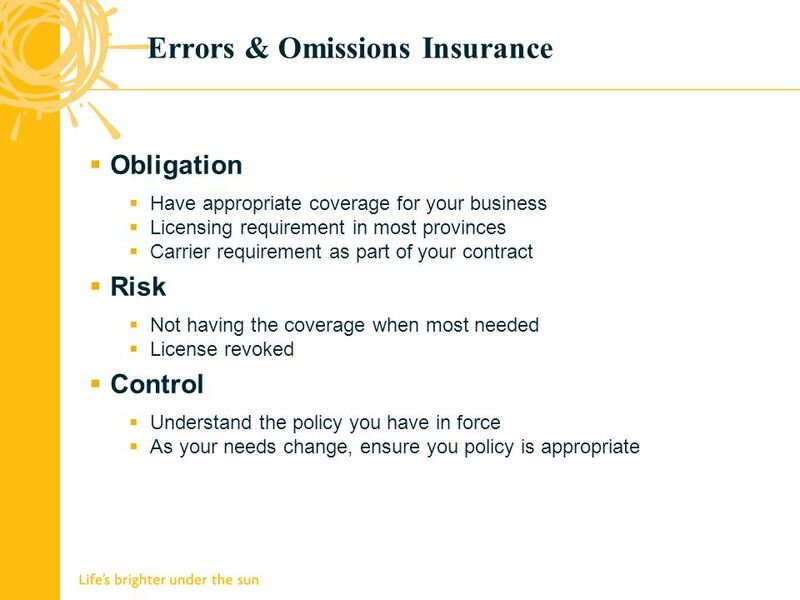 March  Documentation is everything - If you can’t prove it, it didn’t happen  Insurer reviews  Regulatory audits  Lawsuits and E&O  FINTRAC. © Chery F. Kendrick & Kendrick Technical Services. 1 Supplement to the Guideline on Prevention of Money Laundering Hong Kong Monetary Authority 8 June 2004. Helen Glaze Compliance Associate 1. 2  General Compliance – How Do You Rate?  Client Care Letters & Terms of Engagement. Becoming A Customer SICOR Securities, Inc.. How? In order to establish the client (customer) relationship between yourself, as a registered representative.